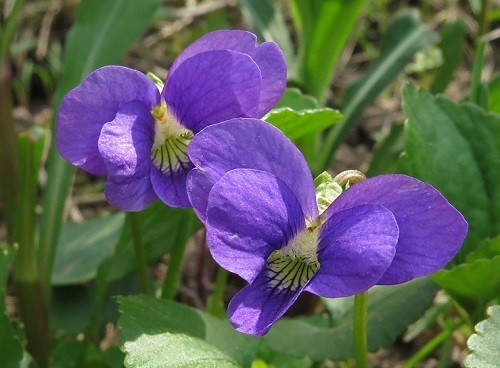 ​Violets are categorized as "stemless" (where solitary flowers grow on stalks coming directly from rhizomes or stolons) or "stemmed" (where the flowers grow on stems arising from the axils of the leaves). 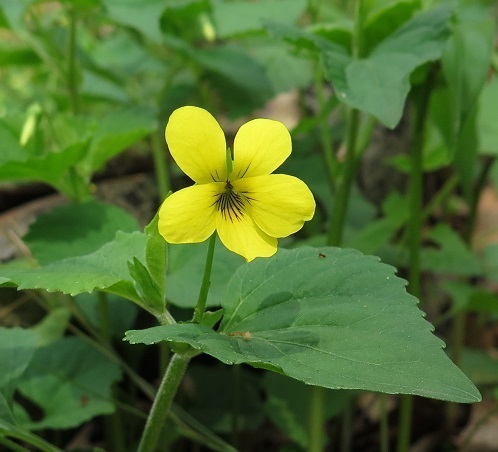 The showy blooms we see are polinated by bees. 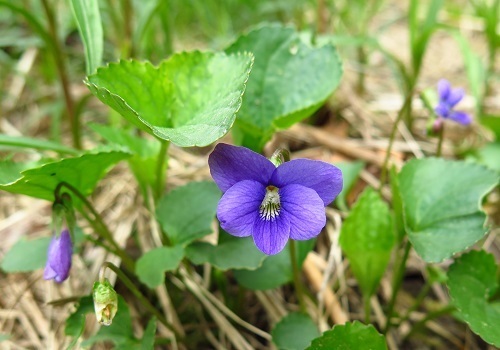 Later in the season, violets develop inconspicuous closed petal-less flowers lower on the plant or under the ground. 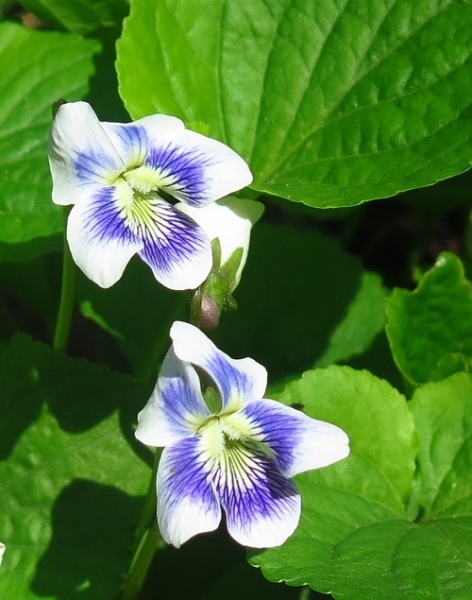 These "cleistogamous" flowers are self-pollinating. 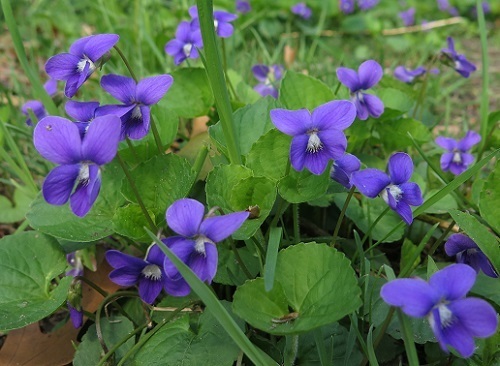 Habitat: Damp woods, moist meadows, lawns. ​Height: Up to 25 cm. 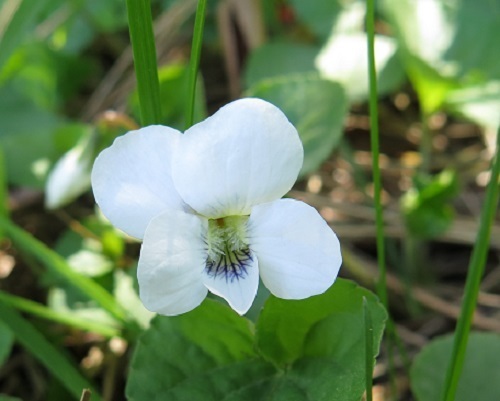 ​Some flowers of this species are white. ​Height: Up to 40 cm.